Probashbangla24 online Desk : A major Conservative donor has told the BBC the Tories have “lost their way” and the prime minister has “let herself down” by failing to champion business. 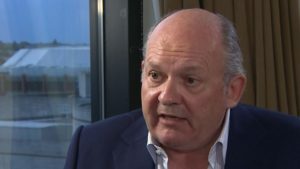 City grandee Michael Spencer said the party had been “foolish on occasion to adopt some of the language of the socialists” in order to “buy” votes. He told BBC political editor Laura Kuenssberg the gamble had not paid off. In the interview, Mr Spencer also refused to endorse Theresa May to continue as party leader after Brexit. Mr Spencer, 63, is chief executive of investment organisation NEX Group and spent almost four years as party treasurer under David Cameron, from January 2007 to October 2010. He has been a Tory party member since university and financial supporter for many years, but has not donated since the last general election. Mr Spencer voted for the UK to remain in the EU, but said he was supportive of the “democratic decision” to leave. When asked about Mrs May’s chances of hanging on as party leader, Mr Spencer said that would “depend on her success” in delivering Brexit. Asked if it was likely, he said: “We better wait and see,” while making it clear he believed there was no merit in changing the leader before the Brexit negotiations are complete. On Brexit itself, Mr Spencer said it was “profoundly unlikely” that there would be no deal with the EU. But the initial deal, he suggested, could be a “first stage” with “further developments down the line”. He said that it was “totally naive” to imagine that there would be a “nice consensus” by this point in the negotiations. In response to demands from leading Brexiteers, including Boris Johnson, that the prime minister change her approach, he said he was “disappointed” with the clamour. Brexit: Can Theresa May’s government survive?